Berkeley, CA â€“ 22 November 2011 â€“ Are you looking to impress THE WALKING DEAD fan in your life this holiday season with the perfect gift? Well, you’re in luck! That’s right, holiday shoppers need look no further than their favorite comic book retailer to purchase the deluxe, leather bound, slipcased hardcover edition of the New York Times bestseller, THE WALKING DEAD â€“ RISE OF THE GOVERNOR NOVEL by series creator Robert Kirkman and co-writer Jay Bonansinga. To make the gift even more impressive, this deluxe edition will feature spot illustrations by series artist Charlie Adlard. Comic book readers may wonder if there’s any better way to improve upon a novel than by adding pictures. Well, there is! There is also an even rarer, super deluxe edition that will also be signed and numbered by Kirkman! 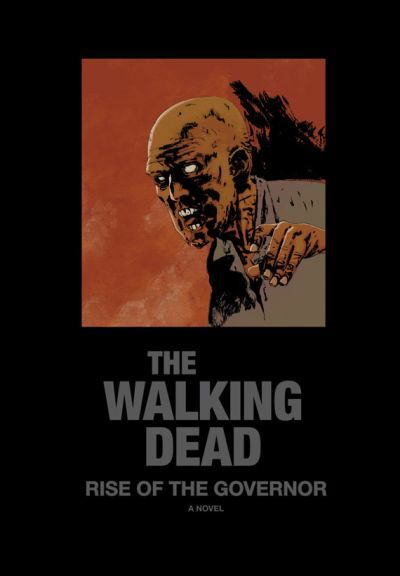 THE WALKING DEAD â€“ RISE OF THE GOVERNOR NOVEL is the first in a planned trilogy of novels based on the characters introduced in THE WALKING DEAD comic book series. RISE OF THE GOVERNOR sheds light on the true origins of The Governor, the most vile and deadly villain yet to appear in THE WALKING DEAD comic book series. Now fans of the comic book and AMC’s record breaking TV adaptation can discover the transformation of one man into a monster with this special deluxe edition! THE WALKING DEAD â€“ RISE OF THE GOVERNOR NOVEL: DELUXE SLIPCASED EDITION (OCT110517, ISBN: 978-1-60706-482-4), a 336-page novel for $74.99, will be on sale in stores on December 7, along with the limited signed & numbered edition (OCT110518, ISBN: 978-1-60706-483-1) for $124.99.